Marvel Studios’ first follow-up to last year’s breakout hit The Avengers has just hit Australian cinemas and I saw it last night. It was just about one whole year ago that Joss Whedon‘s The Avengers single-handedly changed the face of the comic book movie sub-genre, illustrating in truly emphatic fashion that sometimes when you manage a risk as skilfully as Marvel Studios did, it can pay off in a big, big way. Five separate superhero movies led up to that blockbusting success and Hollywood is now abuzz with talk of people who want to emulate its winning formula. But Marvel Studios itself is not done with The Avengers. Not by a long shot. A gigantic sequel is coming and for that to pay off in any kind of similar way, another build-up of movies needs to happen. At least that’s what the Disney-owned company has suggested. So Iron Man 3 has the task of kicking off what people are calling the “second generation” of Marvel features. 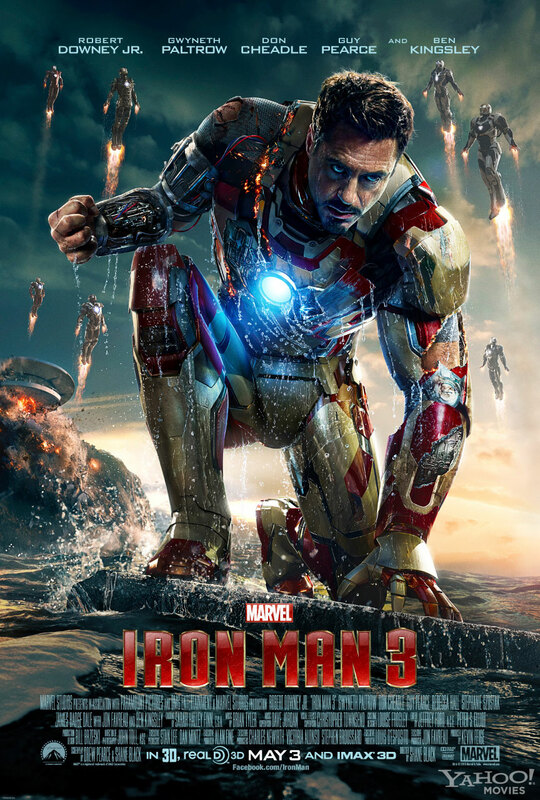 It was a wise decision to start with the “man in steel”, as not only has Robert Downey Jr‘s portrayal of Tony Stark proved to be the most bankable of the four Avengers leads, but the character also has arguably the most number of dangling questions left over from the end of that super-movie (You could make a case for Thor in this regard, but if you do then have no fear – he has a movie coming out later this year as well). Stark had a hell of a traumatic experience saving the world from one of its own missiles – an experience that very nearly killed him – and the effects of this are visible from the very beginning of Iron Man 3. Stark’s ego has been cut down considerably by the otherworldly things he has seen. He is shaken up. 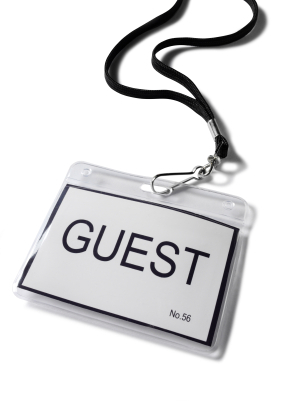 And that was Vagrant Rant‘s first-ever guest week! I’ve already received some great feedback about it, including a handful of ideas and writing requests, so that probably won’t be the last you see of the concept on this here blog. First of all, I definitely want to thank the talented, opinionated people behind each guest post, ZaonTheFirst, Dazidia, Foxtale, EraofShamus, Sean0graphy, deldog30 and DeathOnStilts. Dazidia’s review of the Bop Alloy record was actually the 100th post on Vagrant Rant (no, he doesn’t win a prize), so I would like to take this opportunity to once again thank everyone who has ever taken the time to read something on the site, especially all of my lovely followers. To 100 more! I’ve gone back and re-adjusted all of my album reviews on the site to match the new, slightly tweaked, video-inclusive format used for Dazidia’s and Sean0graphy’s reviews. A pretty big deal for YouTube happened this last week as well, namely the release of PSY’s Gangnam Style follow-up, Gentleman. It has already claimed the record for most number of view in a single day and has 150 million views overall, but that was arguably a foregone conclusion. What wasn’t a foregone conclusion is that people actually seem to like it. Call it similar to Gangnam Style if you will, but it has a catchy rhythm, it’s actually funny and it has successfully thrust an older K-Pop dance move (and the group who first performed it) back into the spotlight on a much bigger scale than ever before. Credit where credit is due. The latest in the line of quirky, short-notice Nintendo Direct online presentations happened two nights ago. I was tweeting along with countless other Nintendo fans as the stream was happening and I have to say I am quite excited about the ongoing offerings of the company’s 3DS console. I’ll be talking a lot more about it when that 3DS vs Playstation Vita comparison piece I’ve been talking about finally goes up. All gamers, in their heart of hearts, longs for games to have loads and loads of characters. The discovery of a game that DOES have loads and loads of characters fills all gamers (without exception – don’t lie to yourself) with the happiness that comes from fulfilling the soul’s desire. 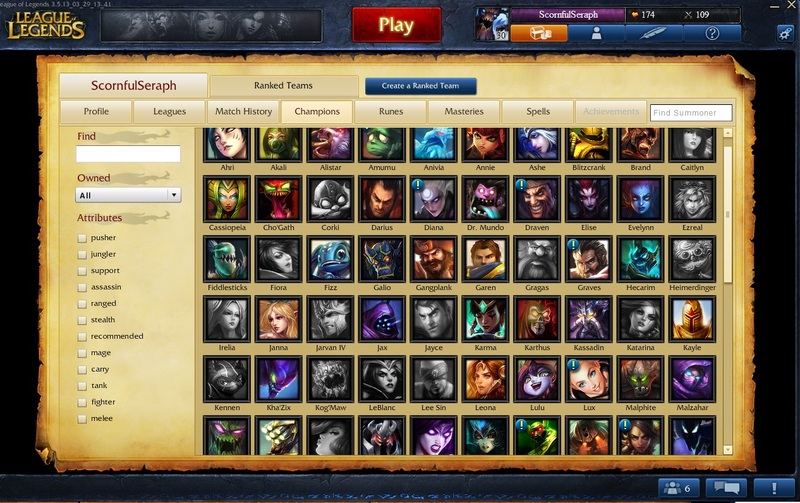 The characters pictured above are just 60 of 112 “champions” in the ever-growing, ever-popular Multiplayer Online Battle Arena known as League of Legends. The game’s developers at Riot Games bring out a new character or “champion” every month (or so they say), each with vastly different play styles. Due to the glorious plethora of characters, no two matches are the same. In addition to this is the likelihood that you probably have a champion that not many people have. This obviously makes you “sah indie” and “alternative”. If you’re actually good with a champion nobody uses due to them “sucking”, then you get to rub that in their face and insult them by simply being a presence on the battlefield. This article was written by deldog30, a high school teacher with a deep fondness for comic books and the culture surrounding them. Man of Steel is the upcoming Superman reboot from director Zack Snyder (Watchmen, 300) and producer Christopher Nolan. I have been counting down the days until this film’s release for some time now, and my level of anticipation has grown to the point where I have been consuming as much Superman-related media as a can. From comic books, animated movies/TV shows, even the classic films starring Christopher Reeve as the Man of Steel himself (Yes I have even been dabbling in some Lois & Clark: The New Adventures of Superman). Below (in no particular order) are five reasons why Man of Steel has the potential to be the best film of the year. 1. Superman is a great character. Superman is indeed a great character and has been since his creation in 1932. It is only the greatest of characters that stand the test of time, and lend themselves to a variety of interpretations. Superman, alongside Batman and Wonder Woman, is no doubt among the greats. I cannot wait to see another interpretation of this character, this time on the big screen. It will be interesting to see how Snyder chooses to handle Superman’s great power combined with his compassion for humankind and his willingness to protect life even at the cost of his own. 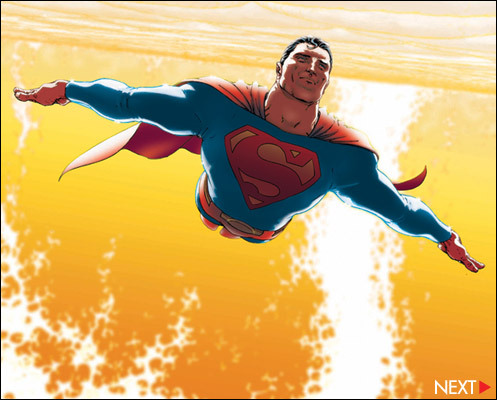 Here’s a taste of Superman’s sheer awesomeness: In the comic book All-Star Superman, after learning of his imminent demise he wastes no time and goes to work to help as many as he can before his time is up. Rather then searching for a cure for himself he literally cures cancer for the benefit of others; it is this selflessness that makes him so great. Another glorious album review! This time from a man who lives in a dark and dusty dorm room in a country town, Sean0graphy. Still one of the best band names I’ve ever seen. Since their inception in 2004, the Cancer Bats, comprising of front man Liam Cormier, guitarist Scott Middleton, bassist Jaye R. Schwartzer and Mike Peters on drums, have never really fit into one genre, each album having it’s own distinct sound. The trend continues with this haymaker of an album. Jumping from songs that are so punk that you want to get up and two-step to songs that are so heavy that your neck will hurt for weeks to come, the album shows that the boys really are Dead Set On Living. Our next guest piece is written by EraofShamus, an indie game lover who dabbles in game design himself. Suffice to say he’s not the biggest fan of formulaic game design in general. 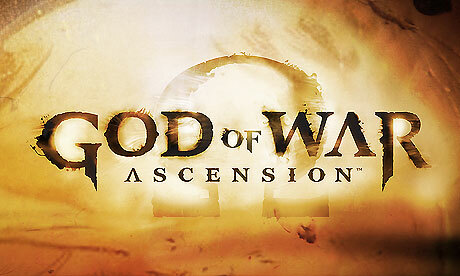 God of War: Ascension (or GOWA for short), created by Santa Monica Studio, was the worst 3 hours I’ve spent playing any video game this year. I’m going out on a limb and saying it’ll probably be the worst game I will regret playing this year. Yeah I didn’t finish it. I didn’t have the stomach to sit through any more. Bite me. Let me premise this by saying I have played other GOW games before, so I am somewhat familiar with the series. I didn’t play the previous title on PS3 because I had a go at the demo, and felt pretty underwhelmed by the nature of the gameplay. A demo really should demonstrate the best parts of a game, you know? I feel as though the God of War 3 demo brought me a craving for variety, and not a desire to see more. Nevertheless, I decided to give Ascension a chance, and hopefully it would turn me around. I was wrong. Think of this next guest post as a companion piece to the Battleship movie review I posted last year. It’s written by the rather Canadian Foxtale. When I first heard that Battleship was going to be a movie, my first thought was “How?” That thought was pretty quickly answered when I jumped online and checked out the trailer. I assumed straight away, as most people must have, that someone had decided to get Giorgio A Tsoukalos to write an American patriotic piece and he somehow snuck in his favourite subject matter. 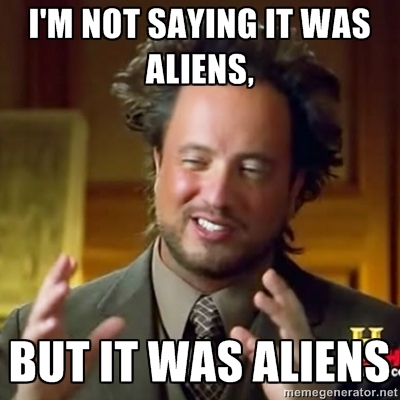 If he hasn’t already used this movie as evidence of Ancient Aliens, he’s losing his touch. But then I went and saw the movie. And I’m not sure if it’s just my overimaginative use of deconstructive theory that led me to this Alternate Battleship Hypothesis, but I think this was one of the most subversive films of 2012. While on the surface, Battleship appears to be a cheesy showing of Americans shouting “MURICA” and winning the day through good old freedom and American ingenuity, I think underneath the script writer was brilliant. I realise this film has been covered in a previous Vagrant Rant post, and so I’ll leave it to you to read that for the surface criticisms (for which there are many). I’ll deal with the underlying themes, for hidden in this movie is a brilliant commentary on American over-aggression against foreign foes, a realistic view of how first contact might play out, and some good old fashioned paranoia over China.